Serving most major cities in the United States and abroad for Immigration	needs and more! At Personal Lab Services, Inc., our primary focus is ensuring that all	our clients achieve Peace of Mind though professional and accurate testing	with any test you order. We use a painless, non-invasive mouth swab (buccal swab) for paternity	collections instead of drawing blood. However, if blood samples are preferred,	we can take blood samples for DNA testing. 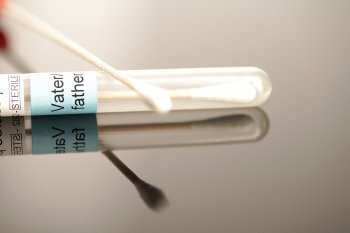 If the Mother is unwilling	or not available for testing, the Alleged Father and Child can be tested	without her. If the testing parties live in different cities, we will arrange for all	parties’ samples to be collected in their respective cities. A deposit	is required on all out of area collections. Dedicated DNA Specialist – Each client will be assigned a dedicated DNA Specialist that will	assist them throughout the testing process from start to finish. On-Site Collections – For your convenience, we offer home and office collections for	clients unable to come to our office for any reason. We can arrange testing	worldwide. A Very Affordable Price – Prices are among the most competitive in the industry. We welcome	cash, MasterCard, VISA, or Discover. We also offer convenient payment	plans for qualifying clients. College Student's Discounts Thru May 31st! Free Flu Shots w/ Additional Vaccine Purchase! While supplies last!! $55 Physicals: School, Camps, MMA, Employment, DOT-CDL! We’re here to help you find answers! Ensure you meet all the requirements for entering healthcare programs. Stay compliant and keep your drivers on the road! See how we can help. We now offer Houston area businesses on-site Flu Shots for your employees. We’re always happy to answer questions – give us a call for more info!